Hyperloop One has achieved a new milestone in terms of making its Hyperloop vision a physical reality: The company completed a test on July 29, 2017 at its full-scale Nevada test track that travelled at high speed, running nearly the entirety of the 500 meter (1640 foot) test route. XP-1, the company’s first Hyperloop pod, reached speeds of up to 310 km/h (192 mph) during the test, which is getting closer to the planned functional speeds of future Hyperloop installations planned for Dubai and elsewhere. The new test breaks the recorded speed record for any Hyperloop tests ever conducted, including those done by research organizations participating in SpaceX’s pod design competition. It was conducted on July 29, 2017, and included a 300 meter acceleration phase, with gradual breaking to come to a stop after that point. Hyperloop One depressurized the tube for the test track down to conditions similar to those at 200,000 feet above sea level, which is part of the Earth’s atmosphere where there is very little friction and resistance to the rarified air. The company says that all aspects of the system, from motors, to electronics, to the vacuum pump and magnetic levitation mechanism worked well during the test. 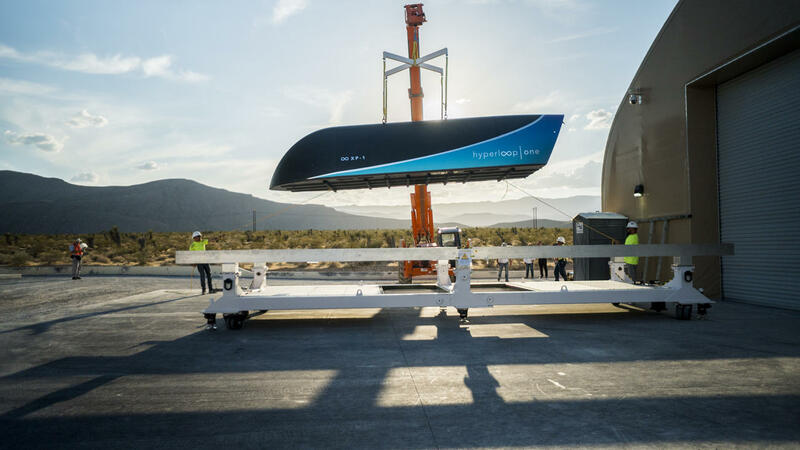 Just a couple of months ago in May, Hyperloop One completed its first ever test of its Nevada DevLoop track, which was intended to prove that the system would work at scale. The Phase 1 test was much more modest by comparison, with a 315-foot run vs. the 1,433-foot trial for Phase 2. It also only topped out at 69 mph, and only accelerated for 30 meters of its journey, vs. 300 meters for the new test. Hyperloop One also notes that the pod was driven by 3.5x the power in this test, achieving 3,151 horsepower vs. just 891 for the inaugural run. Hyperloop One has stated it’s aiming to achieve a top speed of 250 mph in the controlled testing environment of the DevLoop track, but it will require longer distances to achieve its target functional velocity: The planned route from Abu Dhabi to Dubai should be able to reach up to 500 mph, for instance, and make the roughly 100 mile trip in about 12 minutes.